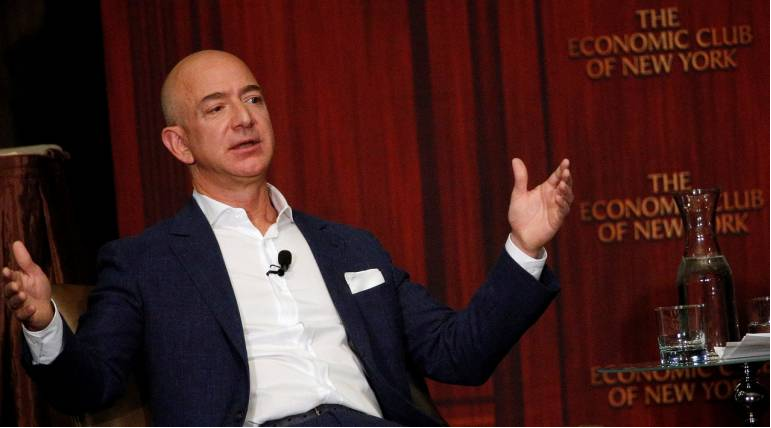 The world’s richest man, Amazon’s Jeff Bezos, in his letter to Amazon shareholders, dropped a great line: “As a company grows, everything needs to scale, including the size of your failed experiments”. Yes, the Fire smartphone failed but Echo/Alexa, started about the same time as Fire, found glory. Largely, “If the size of your failures isn’t growing, you’re not going to be inventing at a size that can actually move the needle.” The summary is this: Echo/Alexa has made up for the losses Amazon incurred on Fire. To discover that Echo/Alexa, Amazon went on a mission; along the line, it took a journey via two paths, one clear path in one but getting lost in another, and over time recovered and focused on the right path. As a company grows, everything needs to scale, including the size of your failed experiments. If the size of your failures isn’t growing, you’re not going to be inventing at a size that can actually move the needle. Amazon will be experimenting at the right scale for a company of our size if we occasionally have multibillion-dollar failures. Of course, we won’t undertake such experiments cavalierly. We will work hard to make them good bets, but not all good bets will ultimately pay out. This kind of large-scale risk taking is part of the service we as a large company can provide to our customers and to society. The good news for shareowners is that a single big winning bet can more than cover the cost of many losers. Development of the Fire phone and Echo was started around the same time. While the Fire phone was a failure, we were able to take our learnings (as well as the developers) and accelerate our efforts building Echo and Alexa. The vision for Echo and Alexa was inspired by the Star Trek computer. The idea also had origins in two other arenas where we’d been building and wandering for years: machine learning and the cloud. From Amazon’s early days, machine learning was an essential part of our product recommendations, and AWS gave us a front row seat to the capabilities of the cloud. After many years of development, Echo debuted in 2014, powered by Alexa, who lives in the AWS cloud. Reading the letter to shareholders, one can see some elements of perception demand where Amazon went beyond the needs and expectations of customers to the perception of customers, creating products no one originally asked for, but when customers finally saw them in the market, embraced and bought them. The Perception Demand Construct is a construct where you work on things which are not really evident to be in demand. Yet you go ahead to create that product. The demand may not be existing but you are confident you can stimulate it. Yes, you do believe that your product can elicit demand and grow the sector when launched. This is different from existing demand which could be met via starting a web hosting company or selling light bulbs where you know people actually need those services. Those with big ideas and large hearts are likely to succeed in places where ordinary folks do not dare to venture. So when we question why 1% of world’s population control so much wealth than the rest of us, we also need to argue about the size of risks each of us has taken; they all add up in one way or another. Again, when you are out bring about extraordinary thing to the society, opinion poll or customer survey becomes meaningless, because the potential users are yet to think or imagine at that level; so you are the one to experiment, take all the risks, and bring out something the world suddenly realises it needs; it’s for the super few to deliver such to the rest of humanity. And when it comes to scaling failures, obviously it’s stacked against smaller companies, because you may not have an infinite source of capital to keep failing, meaning that you have to be more nimble and probably laser-focused when making your bets. Where knowledge and capabilities cannot take you, let your imagination bring you within a touching distance, then learn more and finally drop the ball! Very deep insight… Was gonna ask about startups but so spot on, the last sentence did justice.